Imagine this scenario: It’s a beautiful day outside, but you’re in the house (no doubt doing something useful and creative). You want to take a few quick photos of the kids, or your pets, or your newest creation. No time to mess with fancy lighting or custom camera settings — you just want to snap a few quick shots. With all your camera settings in AUTO, you fire away and assume all is well. Later that night, you’re reviewing your latest photos on your laptop and discover that they all look like crap. Your kids look like they’re ill, your Golden Retriever has a gray coat and your green houseplants have a blue tint. What happened? Oh, it’s just another white balance issue. Big surprise! Don’t worry, though, there’s a quick and easy fix. 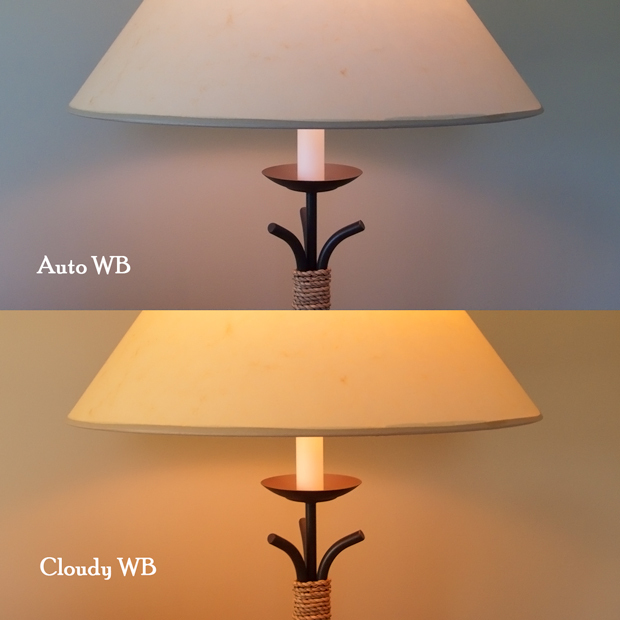 Simply try setting your camera’s white balance to SHADE or CLOUDY. It doesn’t always work (sometimes this trick goes a little over the top and you end up with a little too much orange). But most times it really gives your photos a warmer, more realistic look. Check out my two examples below, taken with an old Leica compact. This one shows a lamp against a tan wall. The bulb is incandescent and the shade is sort of a tan/gold color. There’s not a bit of blue or gray in the entire room! Here’s another. This one shows a small section of a cork-covered wall. 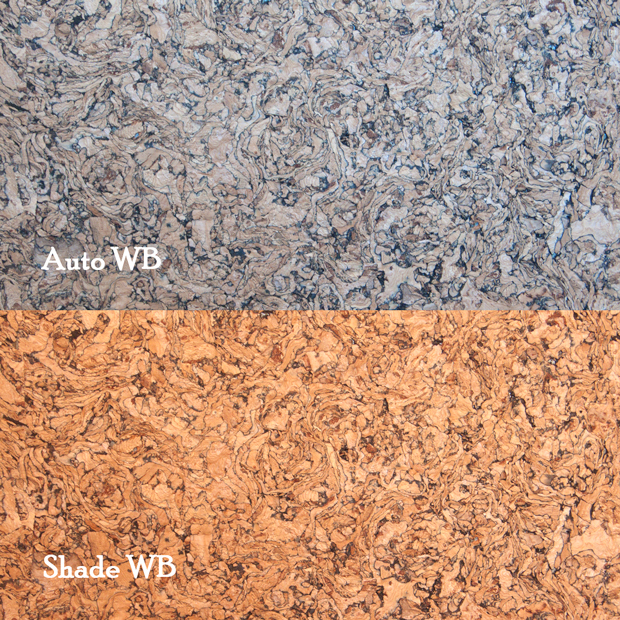 In real life, the cork is a beautiful golden brown, sort of like … the bottom photo! Try it for yourself (you can even preview the effects of different WB settings on your camera’s LCD monitor). Happy with the results? Send me some before and after images, along with a brief description, and I’ll add them to this post. Let’s see what you can come up with. Until then … Happy Shooting! Thanks so much for the info, your advice is invaluable. That makes quite a difference. Actually, from an artistic point of view I prefer the top picture to the second, but obviously for commercial clarity, the second is far preferable. How do I do this on my D300? Easy to do on a D300. Just press and hold WB button (top left of camera body) and rotate main command dial to cycle through the white balance options. Watch the settings change in the control panel (top right of camera body) as you do this. Simple, applicable, useful. Thank you! Sorry, I guess I didn’t write the correct code to bring up the photos referred to. Anyway, your instructions were helpful. Thanks.